The Fairness in Precision Medicine project aims to identify biases that could emerge in data-driven health care. "Precision medicine" is a growing field that aims to use multiple data sources to tailor medical care to individuals. 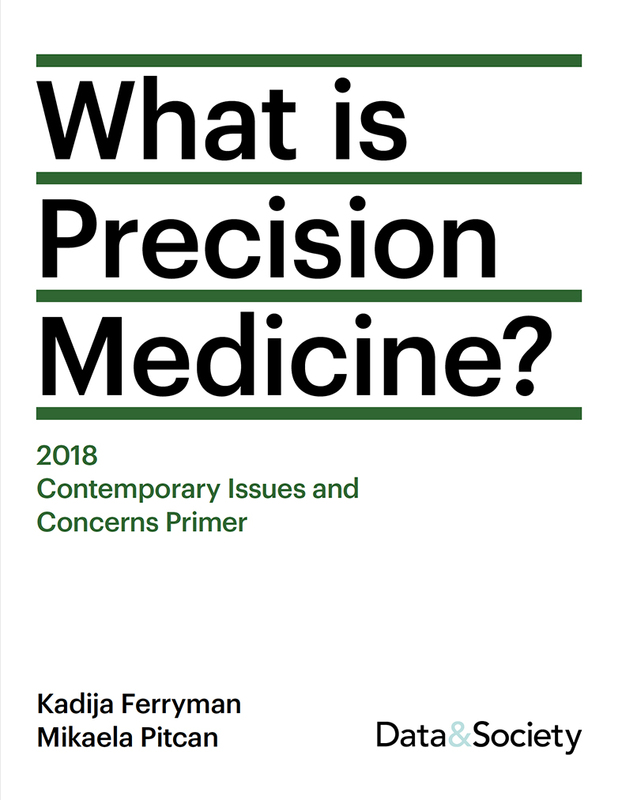 From incorporating genetic information to using data from electronic medical records, precision medicine has the potential to transform healthcare and medical research. 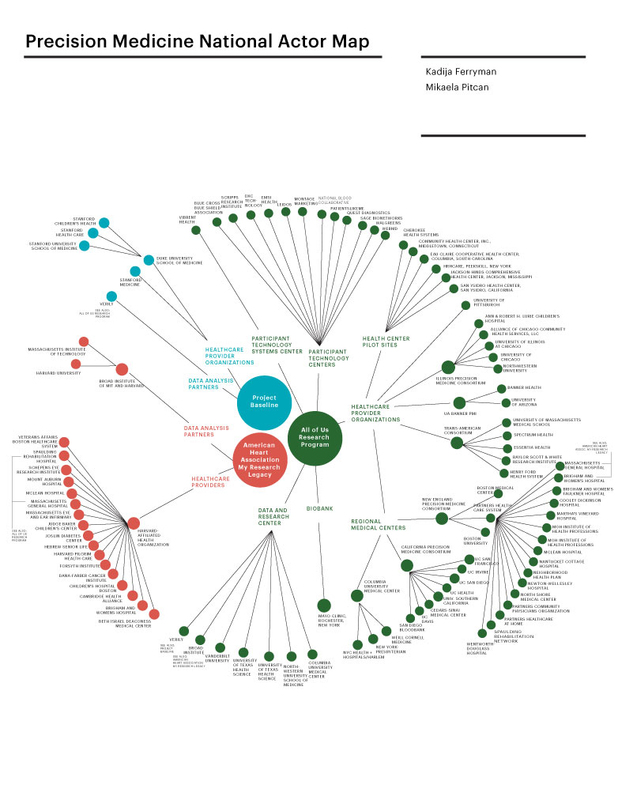 Precision medicine has strong support in multiple sectors, including the government’s $215 million dollar Precision Medicine Initiative, as well as industry-led efforts to collect and analyze volumes of health data. This project aims to move past the rhetorics of promise in precision medicine to critically assess the potential for bias and discrimination in health data collection, sharing, and interpretation. To that end, this project will map the network of stakeholders in precision medicine, including researchers, health care providers, clinicians, and data analysts. The project will also identify vulnerabilities in the ecosystem that could lead to discriminatory outcomes, whether they might emerge as a by-product of implicit and explicit values, data quality, algorithmic models, or organizational decision-making. 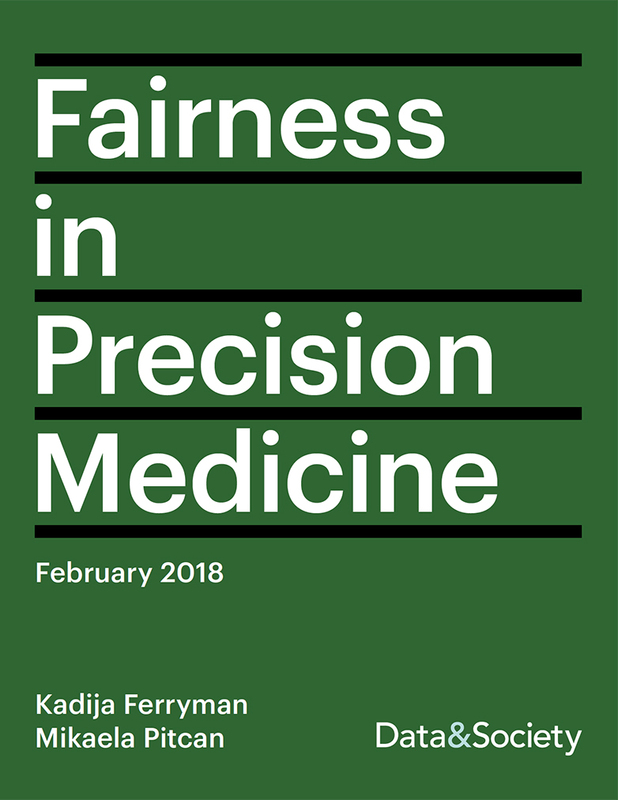 The Fairness in Precision Medicine project will develop a framework for understanding trade-offs involved in precision medicine, and will raise challenges that may trigger conflicting commitments. The goal is to articulate salient gaps and blind spots in order to guide precision medicine initiatives at a critical time in their development. Dr. Kadija Ferryman is a cultural anthropologist who studies health risk as a social, cultural, and ethical phenomenon. 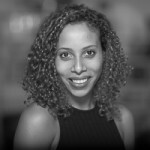 Specifically, her research examines the impacts of health risk prediction through information technologies such as genomics, digital medical records, and artificial intelligence on marginalized groups. She is currently a Researcher at the Data & Society Research Institute in New York. Previously, she led the Fairness in Precision Medicine research study, which examined the potential for bias and discrimination in predictive precision medicine. She is a Mozilla Open Science Fellow and will be conducting an ethnography examining the origins of the open health movement and the history of electronic health records during the fellowship. She earned a BA in Anthropology from Yale University and a PhD in Anthropology from The New School for Social Research. 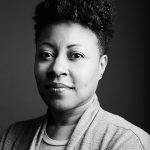 Before completing her PhD, she was a policy researcher at the Urban Institute where she studied how housing and neighborhoods impact well-being, specifically the effects of public housing redevelopment on children, families, and older adults. Ferryman is a member of the Institutional Review Board for the All of Us Research Program and she has published research in journals such as Journal of Health Care for the Poor and Underserved, European Journal of Human Genetics, and Genetics in Medicine. Support for this research was provided by the Robert Wood Johnson Foundation. The views expressed here do not necessarily reflect the views of the Foundation.